BH Fitness LK550 Upright Exercise Bike is a new light commercial grade upright that has the durability customer’s demand and the styling they desire is no easy task, but BH has developed what is destined to become another award winner with the new LK550 Upright. Featuring self-generated technology, vertical and horizontal fit adjustments, and a user-friendly display, the LK550 is one-of-a-kind with the looks to match. For residential users the lifetime warranty of its frame and generator proves it to be a reliable product. *Note: Most of the sites, stores or shopping portals listed above sell BH Fitness LK550 Upright Exercise Bike with discounts and other exciting offers. 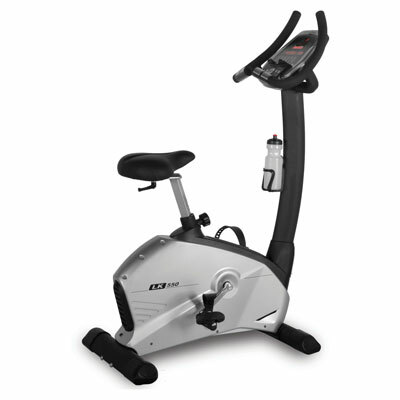 There is a possibility that the some of above websites are not selling BH Fitness LK550 Upright Exercise Bike now. Toughtrain.com is not liable for such cases or instances. Also we do not recommend any seller for BH Fitness LK550 Upright Exercise Bike and a buyer should buy from where he/she gets best deal with quality of products, service and on time delivery (shipment).